It's Time for an Omega! Thread: It's Time for an Omega! Omega has been on my grail list even before I turned into a WIS. I started this obsession last year, and I've been building a collection, starting with more affordable options. After adding a Sinn and a Breitling, I've come to appreciate the higher level fit and finish of higher end brands. 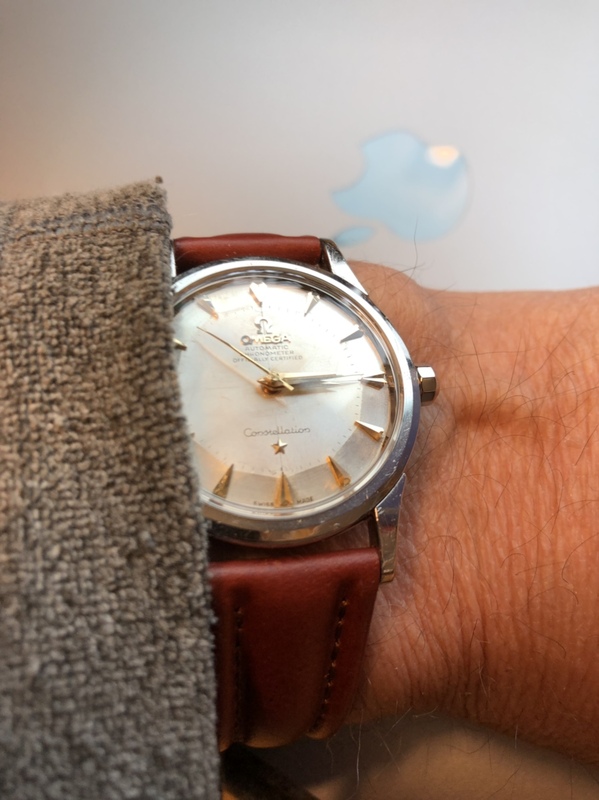 My father is 88 and wears the 1953 Omega Seamaster he bought new when stationed in France in the Air Force. He wore it daily for probably 50 years before he retired it. He just can't stomach the servicing costs (even though he's well able to afford it). A regular service today is practically the same price (not adjusted for inflation) as what he paid for the watch at the Base Exchange in 1953. All that to say it's inspired me to buy a Seamaster Planet Ocean. I'm likely to get the 43.5 mm blue dial non-chrono on bracelet, but will settle for a black dial if my AD doesn't have a blue one in stock. Re: It's Time for an Omega! SERVICE THAT '53. Do it for him. For context: I still have one grandfather's Seamaster De Ville quartz from 1980, still running. I also have the other grandfather's 1957 Constellation calendar, still running. Last time I had the Connie serviced, it was $300 at my local watch guy. New mainspring bushing and a pile of inside work. Now running +5s/day. Prior to that, it hadn't been serviced in 15 years. The De Ville I change the batteries myself. It loses time because of non-mercury batteries but who cares. think about it this way: New battery in a quartz every 2 years at $40 a swap (average, in Canada, if not doing it yourself.). At year 14, you've spent: $560. Compare that to my Connie service. Last edited by clarosec; 1 Week Ago at 05:10.
jkpa, TechGuyJ and rfortson like this. I will second the service the ‘53! What a fantastic piece to have in your collection! Second the idea of getting your dad’s Omega serviced. It’s not too expensive if done by a local watchmaker and will easily last another 60+ years. I recently had my Conny serviced and it’s within COSC. The PO is also a great everyday wear. I currently wear the PO 8900 most days. PO is an excellent choice! Going back to the service. I'm sure he would get his car serviced and carried out maintenance on his property etc. Why would a watch be any different? I would think carefully about settling for the black dial, only because it is your second choice and your first choice will always be in your mind. Last edited by JParanee; 1 Week Ago at 03:22. MissileExpert, Dark Overlord, Technarchy and 1 others like this. It's time to make your father happy by refresh his omega '53 to regulated condition. MissileExpert and rfortson like this. I will certainly let Dad know I'll gladly pay for the service. He actually has a broken date mechanism because he tried to change the date when the hour hand was in the danger zone. Everything else works fine. There's an excellent watchmaker here in Orlando that specializes in restoring vintage watches. Dad lives in Texas. A happy time signature for many Omega owners! 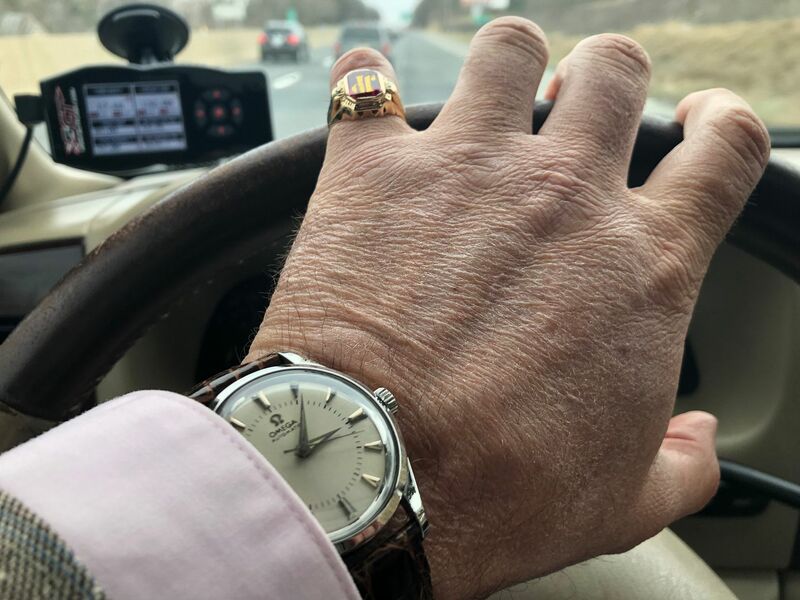 Longest time for response to email inquiry to Omega? 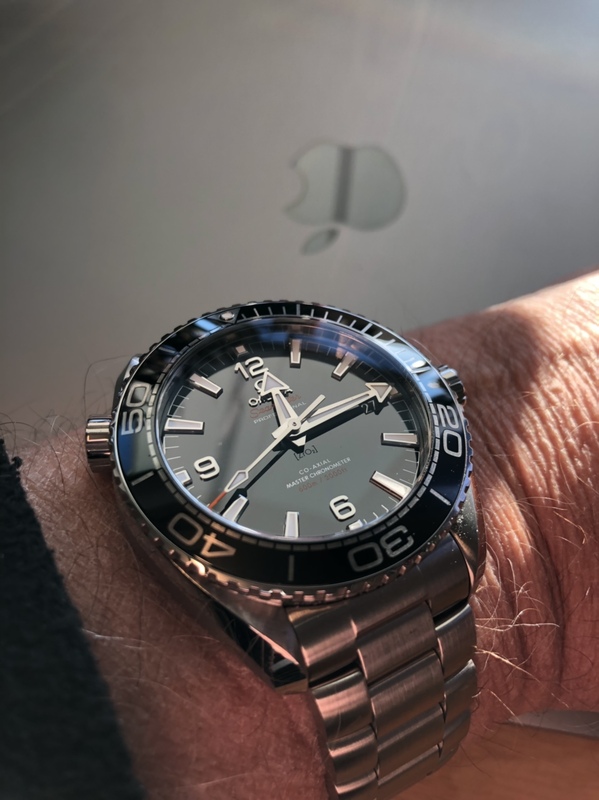 Traveling to HK, time for a new Omega?